Since 1920 the DANFOSS-SAFAG company has been manufacturing pressure pumps renowned for their compact dimensions, high accuracy, quiet running, constant operating pressure and flowrate. The outstandingly good shaft and pump sealing allows operating pressure up to 50 bars, depending on the medium. The product line has recently undergone a total redesign for pump optimisation. DANFOSS-SAFAG Pumps will handle lubricating oil, liquid gas, fuel oil, diesel oil, cutting oil, emulsions, kerosene,coolant and all other self lubricating fluids. 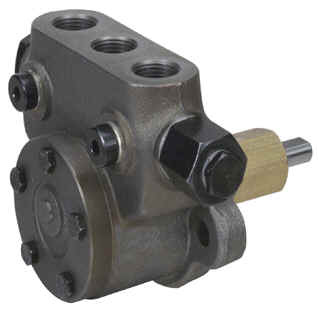 These pumps are used in oil heating systems, hydraulic drives, power units, pressure lubrication and cooling systems. DANFOSS-SAFAG Regulating Valves may be used as pressure or capacity control as well as overflow valves. They are directly, mechanically or progressively adjustable. Pressure range 0.5 to 80 bars - flowrate from 0.5 to 6000 l/h. Suitable for heating oil, lubricants, hydraulic oils, and other self-lubricating, non corroding fluids. 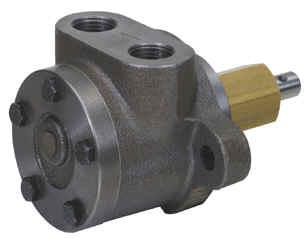 Internal gear pump, self priming, with sealed shaft. Flow rate 15 to 6000 l/h. Internal gear pump with built in pressure regulating valves, return to tank feature or internal by-pass, self priming, with shaft seal. Flow rate 15 to 2000 l/h. 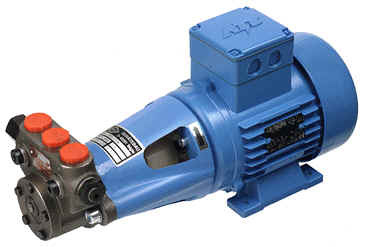 All Danfoss-Safag pumps can be supplied as complete motor pump units, with direct coupling to eliminate wearing parts. Simple assembly and compact. Flow rate 7.5 to 6000 l/h at 1400 rpm. Operation with a setting screw. With or without quick shut off. Flow rate : 5-6000 l/h. Send mail to info@stocker.be for more information on our products and services. Send mail to webmaster@stocker.be with questions or comments about this web site. Copyright © 2003-2006 Stocker Industrie S.A./N.V.